Mississippi Gulf Vacations. Better than you may think! Planning a vacation can be stressful. Trying to find something that everyone in the family will enjoy but is still affordable can be challenging. The Gulf Coast has often been referred to as the Redneck Riviera. Most shrug this location off instead of giving it a try. And while it may not be a tropical island, it is far from the mullets and moon pies the nickname implies. First off it offers affordable family vacations. I understand that being affordable is just a part of the selection process. So take a look at some of the other things the Redneck Riviera has to offer. Private beaches. Sure you can find plenty of beaches full of people. But if you are in the mood for a more low key day, there are countless beaches just off the beaten path that offer the same water and sand with tons of privacy. Fishing. You may not see the million dollar yachts that you would while on a tropical island. But the Gulf Coast is full of fishing boats. Take your pole, find a pier and have it at. Or hire a charter boat and fish in the best spots for trout. Casinos. Looking for something with more of a night life? 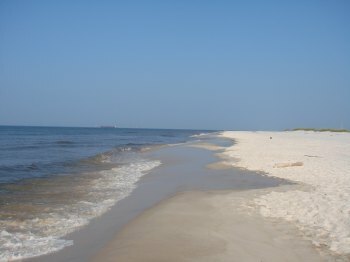 The Mississippi Gulf Coast features 11 resort casinos. Including quality restaurants, great shows and spas. Golf Getaways. Looking to relax and take in some golf? The Gulf Coast offers some of the best golf courses around. There are water parks, outlet malls, quaint downtown areas for shopping, dining of all sorts, and museums. No matter what your family is into you, you can find it at the Gulf Coast. And the best part, you can experience it all with a touch of southern hospitality that you won’t find anywhere else.